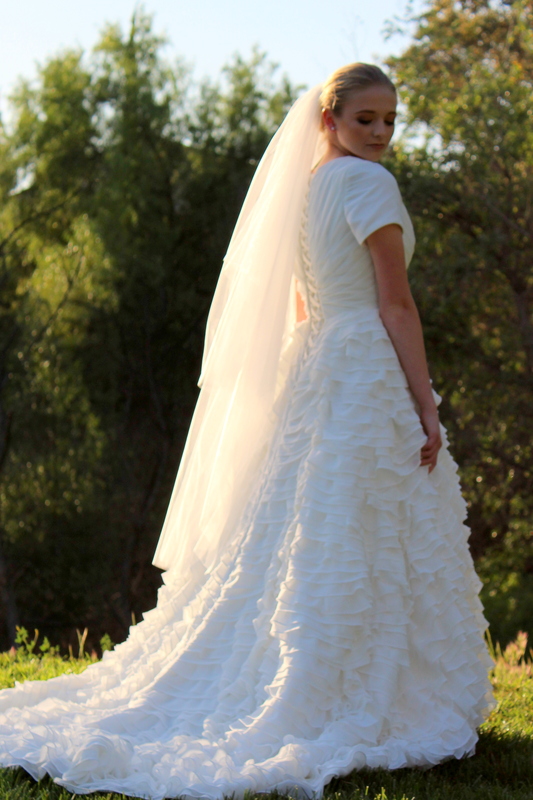 Bethany is a gorgeously dramatic wedding gown with a striking elegance all its own. Featuring a fully-lined, pleated chiffon bodice, Bethany has a v-neck and full short sleeves. 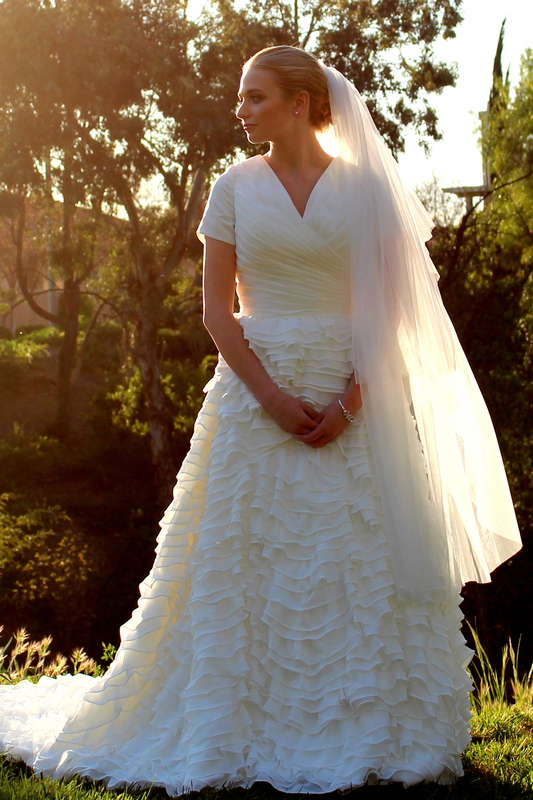 From the waist, Bethany’s skirt cascades in dozens of layers of gorgeously gathered chiffon. Completing this beautiful gown is a lace-up back, ensuring your dress fits like a glove. Fully lined, Bethany is shown in Ivory, but also available in Snow White. 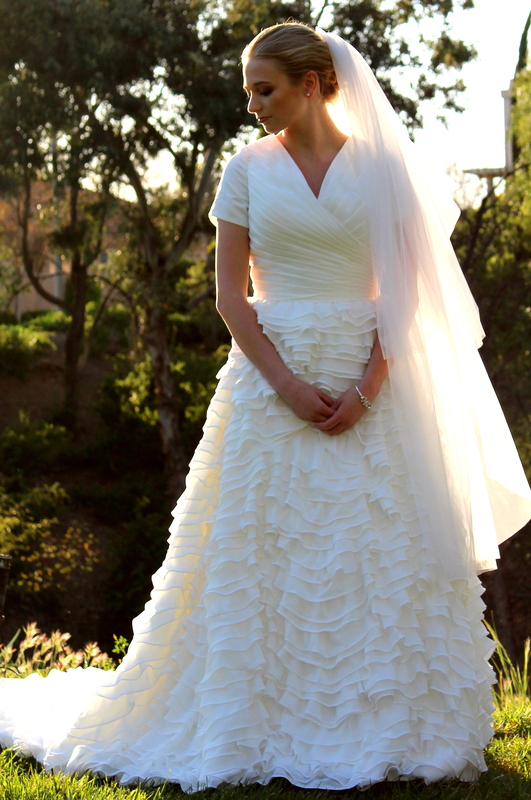 Shown with our Two-Tier Wedding Veil.